2018 is Peter's 9th Year as Principal of Flagstaff Hill R-7 School and he has just commenced a second tenure as Principal. Prior to being at Flagstaff Hill R-7 School, Peter was the Principal at Paradise PS, Raukkan Aboriginal & Cook Area schools. Peter’s ongoing commitment and tenure has provided and will continue to provide the school with a clear learning focus, a strong commitment to consistency and finally his great enthusiasm for the continual improvement and progress of each student, staff member and parent who is a part of the school community. It is Peter's belief that students' success and improvement in education is achieved when the school community is focused on what is important and individually take ownership for our learning. As principal, Peter also believes in setting high expectations, both academically and behaviourally, for all students. Establishing and maintaining a safe and organised learning environment. Ensuring learning is visible, consistent and clear. Teach learners to learn more deeply and effectively. In 2016 Peter graduated as a Doctor in Educational Leadership which is reflective of his passion for learning for all people and all ages. As an active learner Peter has driven ‘learning as the core of everything we do’ as a school. This drive to keep Learning at the core is the basis for our school being a High Reliable School (as described by the Educational researcher Dr Rob Marzano). Peter’s leadership at Flagstaff Hill R-7 School works towards being a school of High Expectations that are maintained Reliable in learning for each member of our school community. Although the Principal maintains the legal and moral responsibility for the whole school overall, the following members of the Leadership Team reflect schools excellence in learning improvement priorities. Jane has been at Flagstaff Hill R-7 School since 2006 and during this time she has had several roles and responsibilities ranging from being a Junior Primary and Primary teacher, to being the Coordinator of Learning and now as the Deputy Principal. Jane has a strong understanding of both learning and the practicalities of classroom management across the school Reception to Year 7. Jane’s passion is literacy, she thrives on seeing students developing a love of learning, she enjoys building strong relationships with the students, the area she loves most in working with students and teachers is reading support. Jane’s primary focus is to support and work in partnership with the Principal and the Business Manager to improve the learning, engagement and achievement of students across the whole school community. This means assisting the teaching and support staff as they endeavour to provide the very best learning environment and opportunities for our learners. It also involves working alongside parents and students to ensure effective engagement in learning and communication with key stakeholders of the school community. Sonya has been at Flagstaff Hill R-7 School since 1994 and during that time she has had several roles and responsibilities ranging from being an SSO supporting students and IT Technician. In 2001 she took on the role of Finance Officer and was appointed as Business Manager in 2009. Sonya’s primary focus is the Business vision of the school ensuring collaboration and supportive clear structures are the foundations to achieve financial viability, so that learning can be the core of everything we do as a school. Tammy has been at Flagstaff Hill R-7 School since 2012. During this time she has taught from Years 2 to 5 and has worked in various leadership roles. Currently, Tammy oversees the Year 3 to 5 classroom teachers and works closely with other members of the leadership team to support teachers with their students on a day to day basis. She thoroughly enjoys walking through classrooms, chatting with students and teachers and celebrating their successes. Tammy oversees many of the day to day operations of the school including timetables, student tracking, data collection and analysis, school blogs, enrolments and transition and staff induction/professional development. She is also involved in student wellbeing issues and the management of student behaviour. 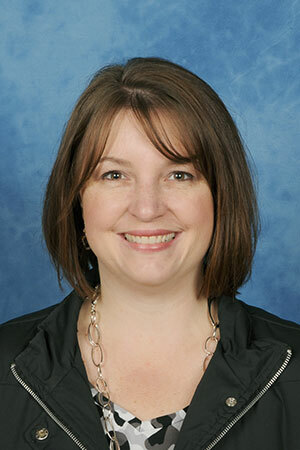 Tammy also has the responsibility for managing the Student Support process across the school. She works with teachers and SSOs to identify and assist students with learning difficulties. She collates the required information to request assessments and additional support. She also works closely with the Student Support team to provide support for students with disabilities and learning difficulties. Tammy is passionate about ensuring students receive the best support available in Department for Education schools. Tara has been at Flagstaff Hill R-7 School since 2010 and during this time has worked predominantly as a classroom teacher in years 3 -5. She implemented a Maths Enrichment program in 2018. The program focuses on developing critical and creative thinking skills through mathematical problem solving Currently, Tara oversees the Year R to 2 classroom teachers and works closely with other members of the leadership team to support teachers in implementing engaging and relevant learning for their students. Tara has a passion for developing strong relationships between staff and students and believes this is a key in the success of all students. She enjoys working in classrooms and supporting teachers in all aspects of their teaching. Tara manages the professional development needs of staff including the Australian Curriculum and the Art and Science of Teaching pedagogical framework which underpins all learning at Flagstaff Hill R-7 School. 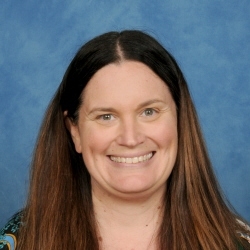 She conducts classroom observations to provide feedback to teachers and works closely with teachers new to Flagstaff Hill as well as Early Career Teachers to support them at the beginning of their teaching careers.